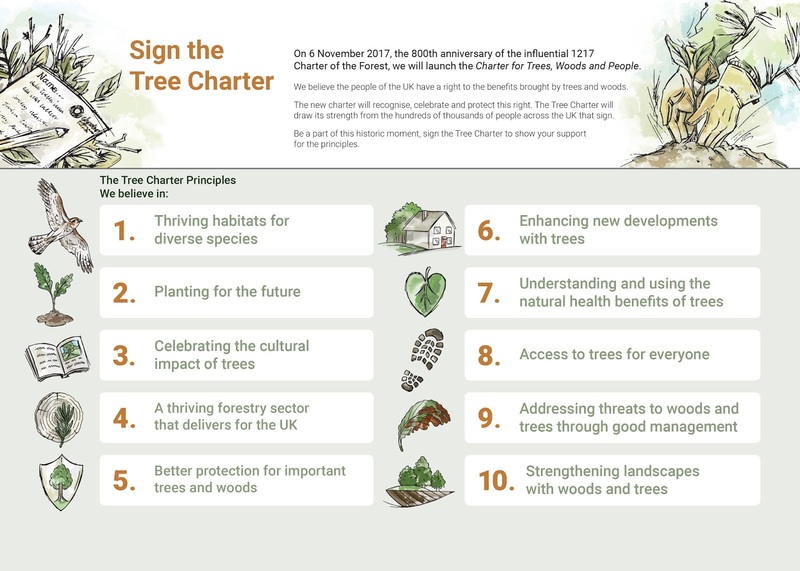 On November 6th, 2017, the 800th anniversary of the 1217 Charter of the Forest, the Charter for Trees, Woods and People will be launched. 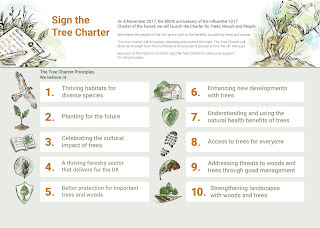 It will recognise, celebrate and protect the right of the people of the UK to the benefits brought by trees and woods. 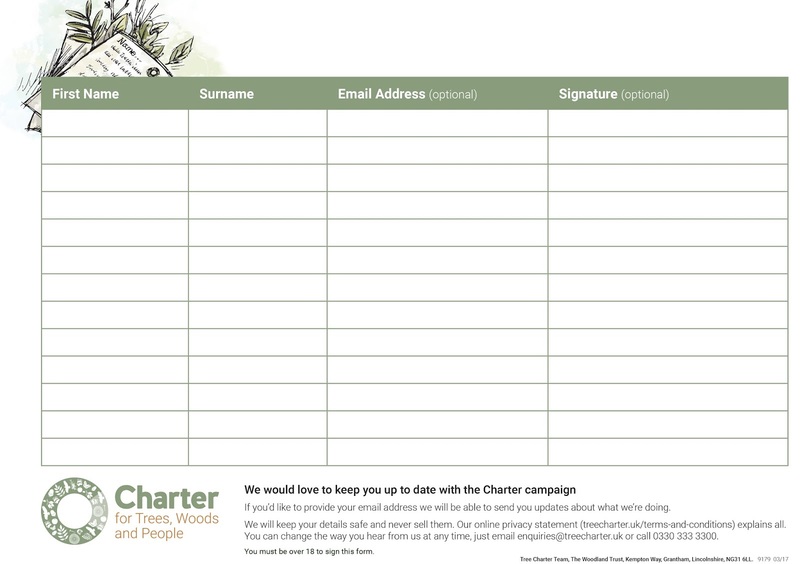 Signatures for the Charter have been and will be collected at a variety of events until November, but you can also collect signatures yourself, or sign a petition online here. 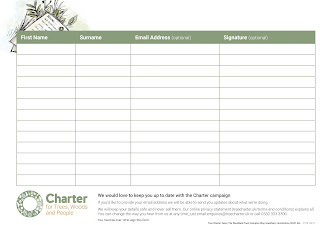 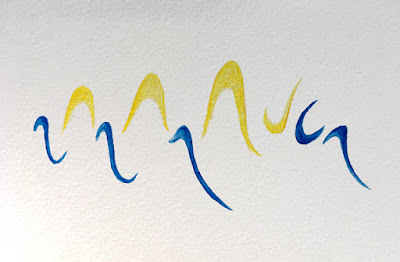 If you do want to collect signatures, print off the images below and get people to sign at any events you're holding.